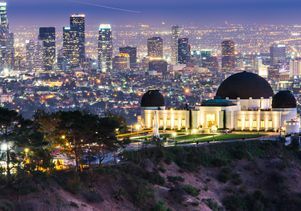 A recent study by three researchers from the UCLA Luskin School of Public Affairs found that Los Angeles is now the most unaffordable rental market in the country based on their analysis of key factors, including what portion of renters’ income regularly goes to pay rent. While researchers found that this affordability crisis has deep roots in the city’s history, the disparity between renters and owners reflects an economic divide that has widened over the past decades. “Our studies show a severe housing burden among poor renters has existed since 1970,” said Paul Ong, professor of urban planning, social welfare and Asian American studies. He co-wrote the study with Silvia Jimenez, assistant director at the Center for the Study of Inequality at UCLA, and Rosalie Ray, research assistant at the center, which is part of the Luskin School of Public Affairs. 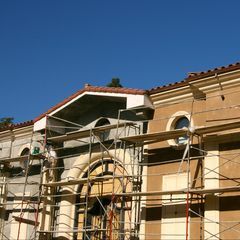 The study was published by the UCLA Ziman Center for Real Estate. And while L.A. has in the past vied with New York and San Francisco for the title of the most unaffordable rental market in the nation, Los Angeles has a lower median income than either New York or San Francisco. But there’s only a small difference among these cities in median rents, the researchers said. Los Angeles is also the metro area with the largest share of renters vs. homeowners: While U.S. rentership has fluctuated around 35 percent, Los Angeles is at 52 percent. Altogether, the data show that the solution to this long-term crisis is to address its root causes — low incomes and high rents — by increasing both renter earnings and affordable housing. Los Angeles’ affordable housing trust fund is chronically underfunded, the researchers point out, particularly since the dissolution of the California Redevelopment Authority and the reduction in federal funding. In both the U.S. and Los Angeles, the median income of homeowners is more than twice that of renters. In the U.S., that large gap is a new phenomenon, but in Los Angeles, owners have made twice as much as renters off and on since 1980. But perhaps the most alarming gap in Los Angeles is the disparity between rent and renter incomes, researchers said. This rent burden is generally expressed as the percentage of a renter’s income devoted to paying rent. As of 2013, Los Angeles had the highest median rent burden in the nation — at 47 percent. That is, on average, renters in L.A. are paying 47 percent of their income for rent. The share of renters experiencing moderate (30 to 50 percent of income) and severe (50-plus percent of income) rent burden in Los Angeles has consistently outpaced the nation. Not only was a larger share of renters burdened, but the size of their burden was also greater, researchers found. Of particular concern, researchers noted, are renters in the lowest quintile, or bottom 20 percent, of the income distribution. In 1970, 54 percent of these low-income Los Angeles renters shouldered a severe rent burden (devoting half or more of their income to housing), and 85 percent of them bore a moderate rent burden (paying 30 to 50 percent of their income). Although national figures are less drastic, 46 percent of the lowest quintile renters were nonetheless severely burdened, and more than half were moderately burdened. Researchers found two major trends in rent burdens over the last 40 years, and both have played out more strongly in Los Angeles than in the nation as a whole. First, burdens among the bottom quintile have gone from bad to worse. Second, rent burden has now been expanded to the middle class. Most renters in these middle-income quintiles still pay less than half their income in rent. However, 50 percent of mid-range renters in Los Angeles experience some sort of burden, compared to a third of U.S. middle-class renters overall. Los Angeles’ burden is not caused just by the usual suspects: tight rental markets or higher quality rental product. Instead, the researchers said, the problem appears to be twofold. Los Angeles has a lower median household income than comparable cities such as New York or San Francisco, but only a small difference in median rents. At the same time, Los Angeles has relatively fewer publicly subsidized units and weaker rent control. This is particularly true in comparison to New York. The Los Angeles section 8 voucher program wait-list has been closed for almost a decade. Affordable housing production and preservation also slowed with the decline in state and federal funding. 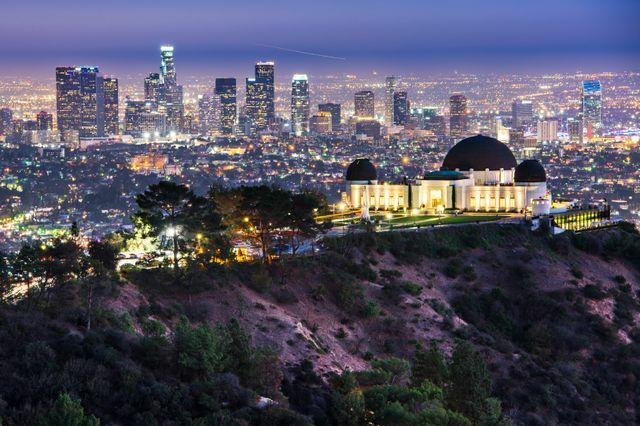 According to the Los Angeles Department of City Planning Housing Needs Assessment, the city needs to produce roughly 5,300 units per year that are affordable to moderate-incomes or below. Los Angeles has instead averaged roughly 1,100 units per year since 2006. Compounding the problem: Since 2000, 143,000 rental units that had been affordable to those making less than $44,000 a year became unaffordable. All this comes during a construction boom in high-end apartments. A recent Los Angeles Times article noted that while construction of new apartment and condominium units in L.A. is up, nearly all of that construction is aimed at top renters. Additionally, as older, more affordable units convert to condos aimed at high-income earners, affordable housing stock shrinks even further. This story was condensed from one posted on the UCLA Ziman Center for Real Estate website. The full article, with all attributions and source material, can be found here.